Megasan Elektronik | Türkiye'nin Elektronik Komponent Satış Marketi-What’s A Proton Battery? Three Things You Need To Know. What’s A Proton Battery? Three Things You Need To Know. Many modern electronics run off of lithium batteries — from electrical tools to a growing number of electric cars. Yet the days of lithium’s dominance may be ending. Researchers at RMIT University in Melbourne, Australia have created a prototype of an alternative battery that runs on carbon and water. This is the first-ever rechargeable proton battery, an energy storage solution that runs off on cheap, environmentally friendly materials. But why do we need to change the way we store power? Here are three things you need to know about this energy source of the future. 1. The proton battery is made of much more abundant materials. The planet’s supply of lithium is concentrated in just a few countries, and the other rare earth metals that go into lithium batteries are an increasingly scarce, expensive resource. In contrast, the proton battery has an electrode made of carbon, one of the most abundant materials on our planet, and is charged by splitting water molecules. “The advantage is we’re going to be storing protons in a carbon-based material, which is abundant, and we are getting protons from water which is readily available” said the project’s lead researcher, John Andrews, to The Guardian. The RMIT battery can be plugged into a charging port just like any other rechargeable battery. What happens next is remarkably simple: the electricity from the power supply splits water molecules, generating protons, which bond with carbon in the battery’s electrode. The protons are then released again to pass through the fuel cell, where they interact with air to form water and generate power. According to an RMIT press release, experiments showed that the tiny battery — with an active surface area of only 5.5 square centimeters (0.85 square inches) could store as much energy per unit as commercially available lithium-ion batteries. 3. It produces zero carbon emissions. Mining traditional batteries’ lithium and other rare earth metals can have a host of environmental consequences, including dumping chemicals into ecosystems and clearing land of vegetation. In addition to the carbon footprint of mining, processing the conductive materials requires significant energy, which still most often means electricity that comes from fossil fuels. Meanwhile, producing the carbon and water needed for this new battery have pretty much zero environmental impact; currently, the main emissions footprint of the battery would be the source of the electricity used to charge it. 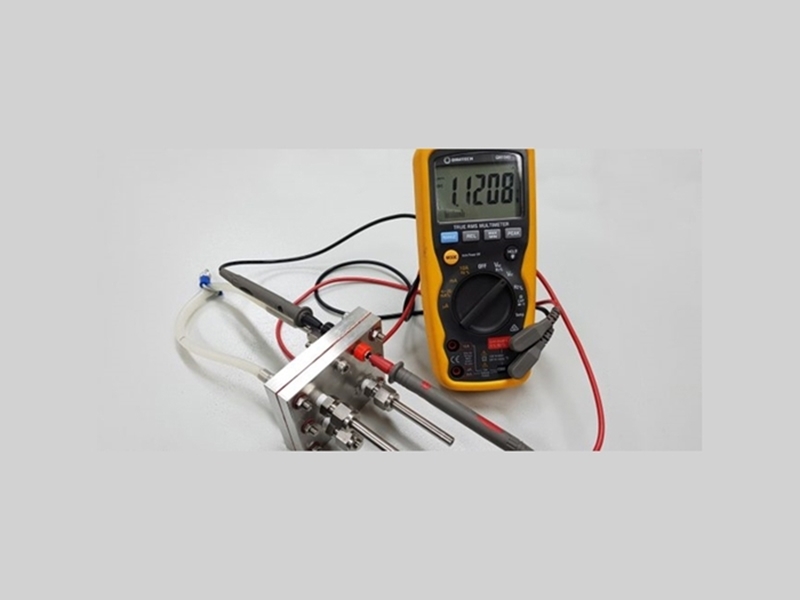 The RMIT team estimates that their proton battery could be commercially available within five to ten years. That’s also good news for the environment, as battery storage needs are expected to skyrocket with the growing shift to clean energy. Without good batteries to store energy on sunny or windy days, we won’t be able to take advantage of these power sources when the weather turns. According to Andrews, when their battery is available, it will even be competitive with Tesla’s Powerwall, and perhaps one day the huge Tesla battery already making waves in his country. You can check out our battery products here.